portant that you be given the research-based data and information for your wellbeing. Our much loved and amazingly useful technology also has a rather awful downside for human health, the most vulnerable of whom are children. 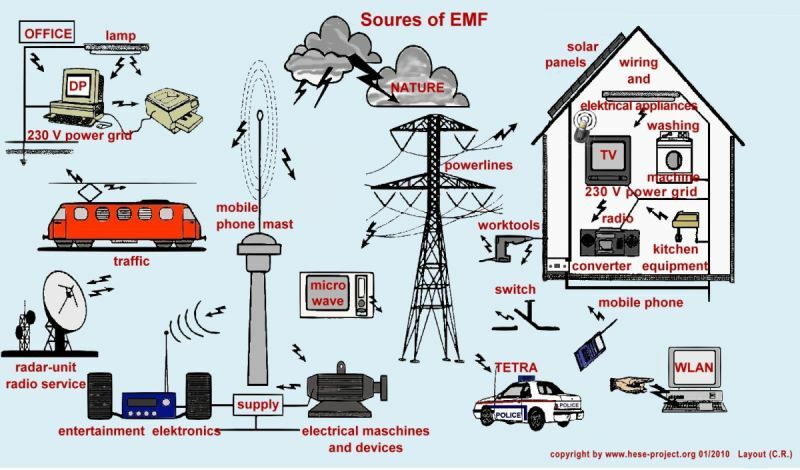 EMR Electromagnetic radiation from EMFs Electromagnetic Fields is everywhere. It occurs naturally in our earth’s atmosphere and frequency disturbances but for the most part we’re not affected by their low output. Modern conveniences have partnered our lives for a few decades and with the increase of personal devices, pagers, cell phones, smart meters, and the constant, invisible radiation from transformers mounted on every high structure, including apartment buildings and silos. No one is far from their impact. 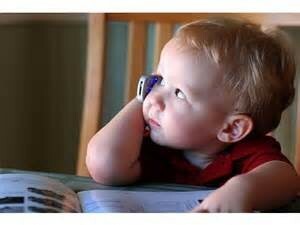 Cell phones are closest to our bodies and present the greatest exposure. Industry standards are not helpful to us, they love their bottom line more than our health. The US Government allows for safety testing of cell phones as much as several millimeters away from the head at which distance radiation is not nearly as intense and damaging as when the phone is held at the head. For every millimeter held away from the head, radiation decreases by 50%. CNN’s Sanjay Gupta talks to experts on this topic. Here is a website, with updated science by experts, with recommendations that are simply changes to how we habitually handle our devices. There are more suggestions at the bottom of this post. Start here: do not carry your cell phone in your back pocket, on your body, in your bra, hand, etc. If for some reason you have to carry it on your body, keep it on airplane mode and return calls on speaker phone or text when you are back online - use headphones. NO exposure for children under 6 and very restricted usage for kids, Period. This includes i-pads and baby monitors (keep it 10′ from baby) or any other electronic devices near your bed. Not everyone has the same level of sensitivity to radiation exposure and it can be subtle. We know that there is a cumulative effect on usage and exposure that creeps up on us. If suddenly you find you’re not sleeping through the night, are more restless and nervous and find yourself fatigued, what if it’s not just work or relationship stress, what if it’s actually your exposure to EMFs? Nicholas Pineault, a researcher and teacher of radiation hazards offers specific case studies. Studies since the early days have highlighted the need for caution. A French study found an almost three-fold increase in the incidence of brain cancer in people with more than 900 hours of lifetime cellphone use. Then, in March,  a Swedish study found that the risk of being diagnosed with brain cancer increased by a factor of three in people who’d used cell or cordless phones for at least 25 years. You see it’s not just your cell phones, it’s the cumulative effect of everything electronic, from your alarm clock in the bedroom, the baby monitors, pagers, microwave ovens, that emit radiation just by being there - unplug them if possible, the hair blow dryer, your cordless phone (the worst offender), your smart fridge, electric cars (sorry but you’re sitting on the battery) and the aforementioned, ever present cell phone- and communications towers on hills, silos and on top of high buildings. Here is clear science on the effects of the cell phones and other devices as well as how to protect ourselves to reduce exposure hazards. The earth is our home, and spending time in natural open spaces, woodlands, rivers, prairies and mountains are our fountain of sustenance and renewal. Exposed to the intense pressures of electromagnetic radiation on a more or less continuous basis, our nervous system literally becomes heated and our body’s native equilibrium unsettled. Inflammation and chronic conditions rise to the point where some of us are unable to function. You can do this: Earthing ourselves means to expose our skin directly to the earth, be that walking barefoot in the dewy grass, wrapping bare arms and hands around a tree, or walking barefoot in the surf. The combination of moisture and native earth returns our overexcited systems back to the natural frequency of our earth, which at 7.83 hertz is also the human brain’s average frequency. This practice is also highly effective at the shore, where the surf and sand provide the grounding. Time Magazine writes about Forest Bathing. 7.83 hertz, the so-called “Schumann resonance,” named after physicist Dr. Winfried Otto Schumann, who predicted it mathematically in 1952, suggested that the natural electromagnetic patterns of the Earth act like a tuning fork not just for the biological oscillators of the brain but for all processes of life. So it becomes a ‘no brainer’ (pun intended) to take note. Never have we been so far from merging with the natural world and so divorced from nature. By 2050, 66% of the world’s population is projected to live in cities. According to a study sponsored by the Environmental Protection Agency, the average American spends 93% of his or her time indoors. Chronic illness and inflammation are emphasized in today’s world, grounding ourselves we return to the natural 7.83 hertz. 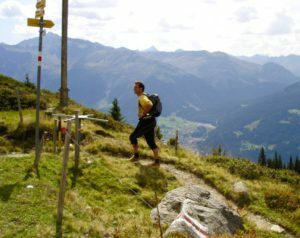 There is no excuse for those among us who have easy access to hikes, views, woods and natural environments - take your kids, call you friends and get out of the house. Streaming video is one of the most intense radiation signals. Perhaps download your movie then watch it once it’s on your device. If that is not possible, avoid watching it on your phone and station your computer or pad at least 3-4 feet away from you. In other words, create a terrain, that disturbs our nervous system and natural immunity, and the consequence is the unbridled growth of aberrant cells. 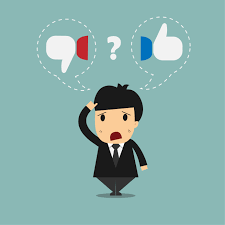 My friend recently asked: “What can I do about these different symptoms I am feeling? I think I am spending too much time on my cell and at the computer. They go away when I’m away from all electronics.” She’s a web-developer, reducing usage is not really an option for her. Her request was the impetus to write this article, please scroll down for suggestions. Not everyone has the same level of sensitivity to radiation exposure. For some there is no noticeable change. What we do know is that there is a cumulative effect on usage and exposure that creeps up on us. If suddenly you find you’re not sleeping through the night, or have a hard time falling asleep, you may benefit from turning off all wifi and devices two hours prior to bed time. Scientific American describes an Australian sleep study: “These brainwaves [delta waves] are the most reliable and sensitive marker of stage two sleep—approximately 50 percent of total sleep consists of this stage—and the subjects remained awake twice as long after the phone transmitting in talk mode was shut off. Although the test subjects had been sleep-deprived the night before, they could not fall asleep for nearly one hour after the phone had been operating without their knowledge.” We’ve not even touched on the blue light effect that impacts brain resonance and disturbs our sleep cycles and natural circadian rhythms. Studies since have highlighted the need for caution. A French study found an almost three-fold increase in the incidence of brain cancer in people with more than 900 hours of lifetime cellphone use. Then, in March,  a Swedish study found that the risk of being diagnosed with brain cancer increased by a factor of three in people who’d used cell or cordless phones for at least 25 years. “One of the most spectacular findings to come out of these studies is that EMF exposure of the type emitted by cell phones cause blood brain barrier damage.” Dr. G. Carlos. Dr. George Carlos has lectured widely on the dangers of excessive exposure to cell phones, cell towers, power lines and who was originally hired by Cell phone manufacturers to determine if there was in fact danger and found after 7 years that yes, there definitely was. His 5-part detailed presentation on you tube is an eye opener for all who want to go deeper into the topic. “The common element in all these radiations is the disruption of intercellular communication” and “One of the most spectacular findings to come out of these studies is that EMF exposure of the type emitted by cell phones cause blood brain barrier damage.” Dr. G. Carlos. Don’t carry the phone on your person, I have a friend who puts hers inside her bra; I’ve been known to stick mine in my back pocket. Neither the front nor back of our bodies are good places for the phone – consider what’s at stake and what sensitive organs are nearby. Keep all electronics out of your bedroom including TV, ipads, phones, baby monitors, electric alarm clocks and any other appliance. They interfere with your sleep cycle and increase stress and inflammation in the body. When working at your laptop, take it off wifi and connect to an Ethernet cable, unplug the laptop and use it on battery charge. Use an Air Tube Headset - Lloyd Burrell explains the ins and outs of this device and how it reduces 98% of radiation compared to the regular headsets whose wires can lead radiation directly to your head. Turn your phone, laptop, Ipad and routers off at night, including wifi. This is something my Swiss friends taught me, they live in a building with natural EMF protection and use corded routers only and far away from their sleep areas. For years now, I’ve been using a universal mat a rubberized pad underneath my laptop, which conducts the earth’s balancing voltage to my body through whatever part of my skin touches it. I feel it makes a difference. A cord from the pad is plugged into the grounding port of my outlet. At the end of the day, let your family drop their turned off phones into a basket near the door and not retrieve or use them until the next morning. If you live within 400 meters of a cell tower, move – there is now lots of proof that this closeness affects everyone nearby. Again, brain tumors, cancers, leukemia, sleep disturbances, fibromyalgia, auto immune disorders, memory loss, difficulty learning. Dr. Ann Gittleson, a foremost health advocate, has some interesting comments about how EMFs affect Thyroid function and our health in general. Her book Zapped is a good read. Logged in as Henriette Alban ND. Log out?